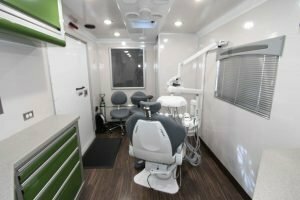 Serving the Northwest suburbs of Chicago, Northwest Community Healthcare’s Mobile Dental Clinic serves as a dental home to patients and provides critical, routine services including exams, cleanings, x-rays, fillings and extractions. 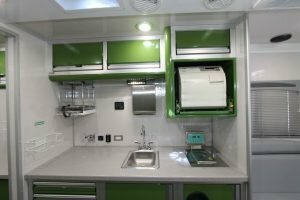 This mobile clinic helps break through barriers to patients’ services like transportation and financial issues, allowing individuals in underserved areas access to quality dental care. 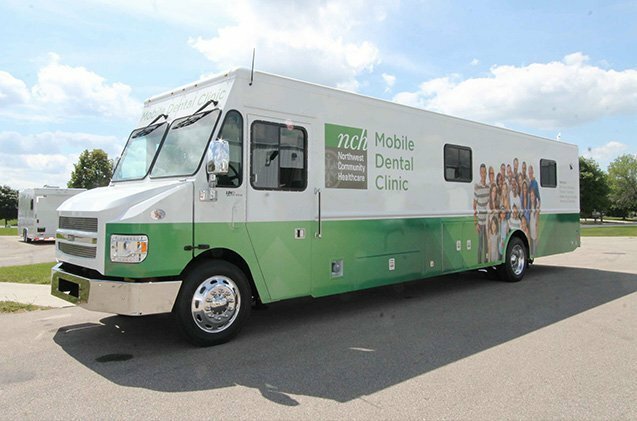 With a focus on prevention, the Northwest Community Health mobile dental clinic typically remains at capacity year round. The vehicle can facilitate up to 14 visits per day—many of which are for return patients. In fact, in its first 90 days on the road, this mobile clinic was home to more than 741 visits! Northwest Community Health can now continue their mission to bring preventative services to children and adults who may not otherwise have the opportunity to access dental care. Interested in learning more? View our other blog posts or follow us on LinkedIn!